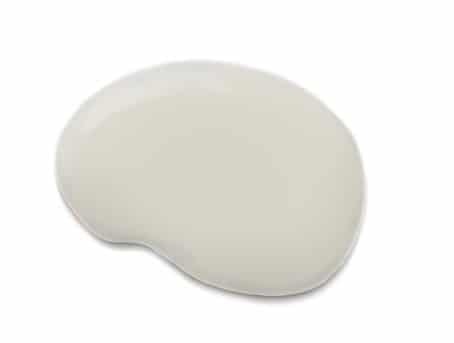 Get color inspiration for a blue, grey and white living room color palette using Sherwin Williams ‘Chip It!’ color tool. 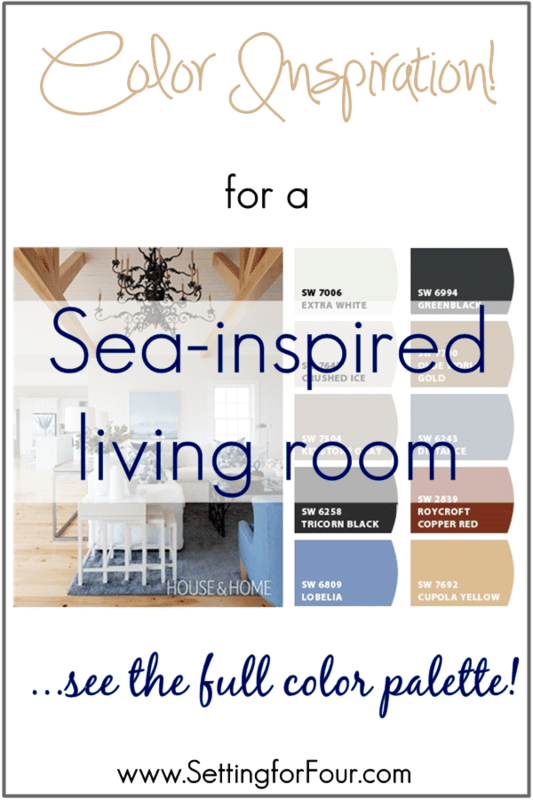 This color palette creates a beautiful coastal, sea inspired look that’s relaxing, casual and comfortable. 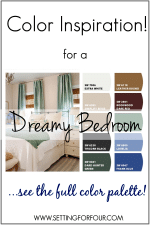 When it comes to decorating a room, one of the most important things to plan is the room’s color palette. 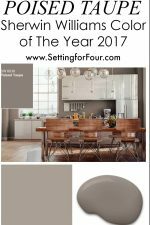 It ‘s so important to start with a color palette to help you select wall colors, furniture colors, accessory and textile colors that flow and coordinate. 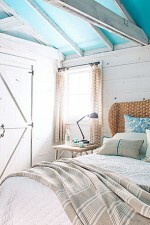 I love looking at online photos of rooms for color palette inspiration for my own home and for my decor clients. 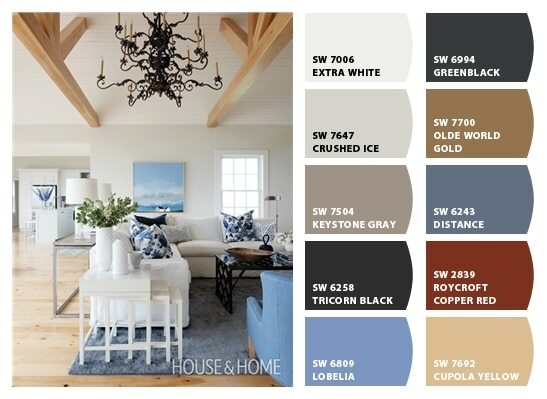 I find a room photo that I love and use the Sherwin Williams ‘Chip It!’ Tool to break down the colors into individual paint colors.  The first column of colors contain the primary colors in the room and the second column contains the secondary colors. I love the large blue area rug, blue artwork and graphic pillows mixed with fresh white furniture and natural colored wood floors and ceiling beams. The driftwood grey in the console table and floor lamp is a gorgeous accent color. 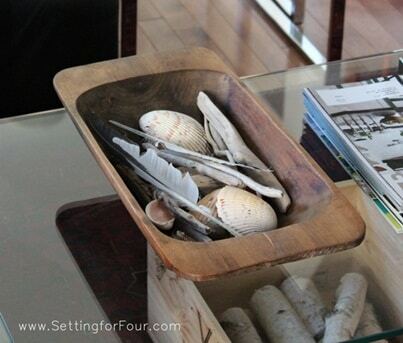 The dough bowl on the coffee table looks just like mine! …and how about that wrought iron chandelier? What a gorgeous focal point! 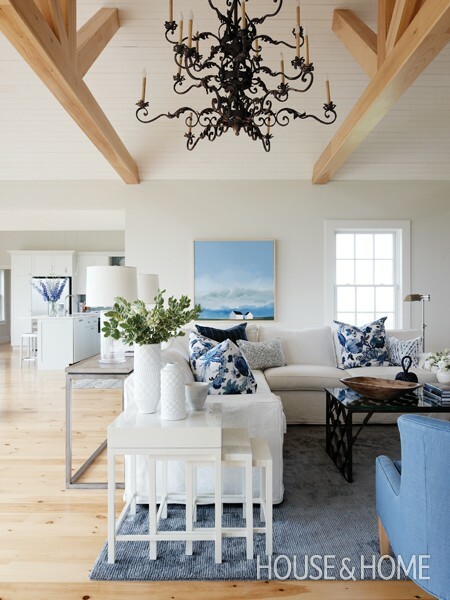 This coastal living room looks so relaxing, comfortable and stylish! I love every detail and the blue, grey and white color palette! What do you think? Do you love these colors too? 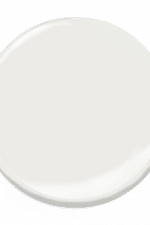 Probably my favorite palette of all time. That living room is gorgeous, and that chandelier- wow! I’m glad you like this living room as much as me Shauna! I love the palette and the painting – and info on that?